This page lists the various web sites and e-mail addresses mentioned in my lecture at the IAJGS International Jewish Genealogy Conference in Washington, DC on Monday August 15, 2011, and later written up in an article in the Fall 2011 issue of AVOTAYNU: The International Review of Jewish Genealogy. To outline the lecture and article briefly, they both discussed three physical archives, the Felix Archives (the municipal archive of Antwerp), the National Archives in Brussels, and the Kazerne Dossin archive and museum in Mechelen. The first two archives have files from the Police des Étrangers (Alien’s Police), while Kazerne Dossin contains several sets of records that largely cover the Jews under the German oocupation that started in 1940. This includes multiple registrations and the deportation lists to Auschwitz. The Felix Archives (the city archive of Antwerp, Belgium) web site is only available in Flemish (largely the same a Dutch), and thus if you don’t speak Flemish or Dutch, is not very useful. You can use the browser interface above to look through individual pages (over 10,000) of the Antwerp index. At this point there are two options. In the old days, after you found the file number associated with the people you are researching, you would need to locate the microfilm number, cabinet, and drawer numbers for the file you are researching. The PDF that allows you to map the file # from the Police des Étrangers index to the microfilm, cabinet and drawer numbers is here. You could then ask someone to scan a record from the Felix Archives by going to the Felix Archives Forum and go to the Opzoekingen (Search) section of the forum to make a request. You would register for an account first, being sure to include the name of the head of household, the file number, the microfilm number and the cabinet and drawer #s in your request. Google Translate works very well to help you navigate this site. Just go to that link and click on ‘Browse through 1,339,442 images’ and then select the link to the collection that includes the file number you’re looking to find. The National Archives web site is available in English, but is not particularly useful for this research. and be sure to include as much information about each individual as you can, including their name, any alternate names (nicknames, etc. 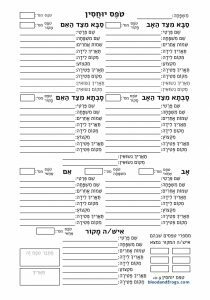 ), the names of their spouse(s), parents, children, where they were born, where else they lived, etc. With spouse’s names be sure to include their maiden name. Request them to check the connected files listed on the folder cover for each record and send you the list of relatives mentioned. They will respond with a list of files that match your search, and directions for contacting Reproduction Services in order to get an invoice with the final price. Last time I ordered records, they were 30 euro cents per page for scans. Kazerne Dossin only has records on people who were rounded up by the Germans during the occupation of Belgium that started in 1940. If your family left Belgium before 1940, it’s unlikely that there are records in Kazerne Dossin. 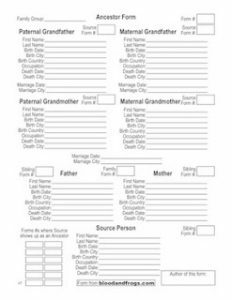 Be sure to include as much information as you know, including names, birth dates, birth locations, maiden names, etc. If something on this page is incorrect, or a link no longer works, etc. please contact me via e-mail to let me know. Thank you.